Gobbledygeek episode 238, “Three Heathens in Austin (feat. Joseph Lewis),” is available for listening or download right here, and on iTunes here. I’m sure you’ve missed Paul and AJ in their extended absence. (Are those crickets I hear?) Well, if you’d like to find out what they were up to, the lowdown’s here, as the boys–along with original Gobbler Joseph Lewis–subject anyone who dares listen to the 21st century equivalent of vacation slideshows. 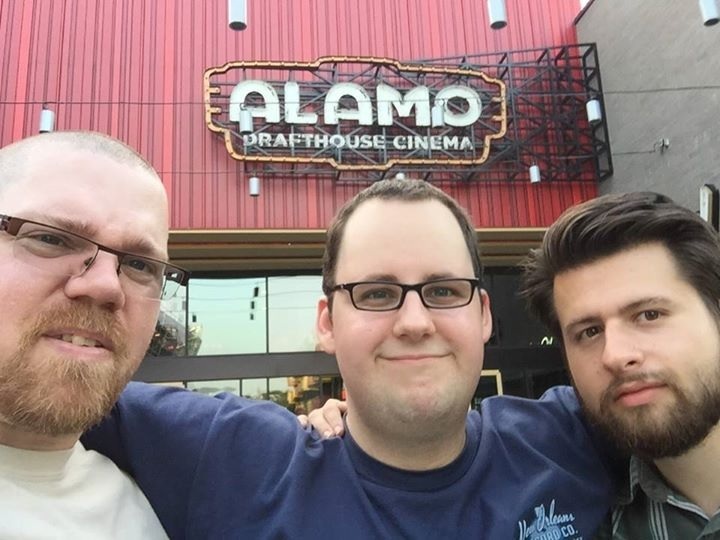 These three heathens made their way down to Austin, TX, where they enjoyed the sights, the sounds, the movies, the food. Oh, did they enjoy the food. On their surprisingly Confederate flag-free tour of the South, they also hit Memphis, Nashville, and New Orleans, all of which they discuss in detail. The gang talks about the many movies they saw at the Alamo Drafthouse (including Terminator Genisys and Magic Mike XXL), what they wrote on the wall outside Graceland, and their surprise celebrity encounter at Third Man Records. Next: Marvel’s biggest little hero gets his turn in the spotlight with Ant-Man. This entry was posted in Shameless Self-Promotion and tagged action, alamo drafthouse, austin, austin tx, comedy, drama, film, food, gobbledygeek, graceland, joseph lewis, magic mike, magic mike xxl, memphis, movies, nashville, new orleans, podcast, sci-fi, science fiction, terminator, terminator genisys, texas, third man records. Bookmark the permalink.